Moving your organization’s data to the cloud can be time and resource exhaustive. Do you know your organization’s share of the cybersecurity responsibility? Stay ahead of the cybersecurity world and prepare your organization with the latest security trends that are shaping the future. Download the report here. With the Target breach, orgs are looking inward to ensure the integrity of their data security. Prepare your organization’s future with these 3 predictions. 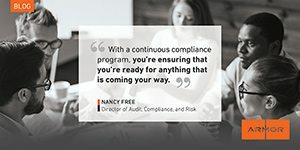 Explore real cases where becoming compliant isn’t enough, highlighting the need for proactive and ongoing security controls. Too often when we think of healthcare IT cybersecurity we leave out the patient’s worries and concerns over their data. Learn more about securing health IT. Discover why such immense gaps exist in protecting organizations and why a shift in thinking is critical to help stop breaches. Optimizing your cybersecurity to defend the most vulnerable parts of your network requires an inside-out strategy. Read how Armor defends your network. Explore the top three ways CFOs can help protect their organization from the impact of cyberattacks. Start your PCI compliance and cybersecurity journey with the latest updates to PCI 3.1 by downloading our “PCI 3.1 Compliance Validation” guide.